Trip Trap is a tasty new puzzler from the creators of iSlash! Our little friend “Ched” (aka “Cheddar”) is very hungry and he needs your help to get the cheese. But it won’t be an easy trip. 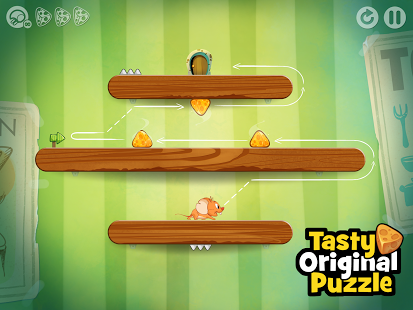 Help him flip and flop his way through dangerous paths and get the cheese avoiding the traps! Join the action and solve a different puzzle on each level! Too many ads I somewhat like the game. But one ad after every sublevel? I hope you guys can bring down the number of ads. Well done! More fun than angry birds!